It is a total add win!!! I thought they were flies. All right you people. 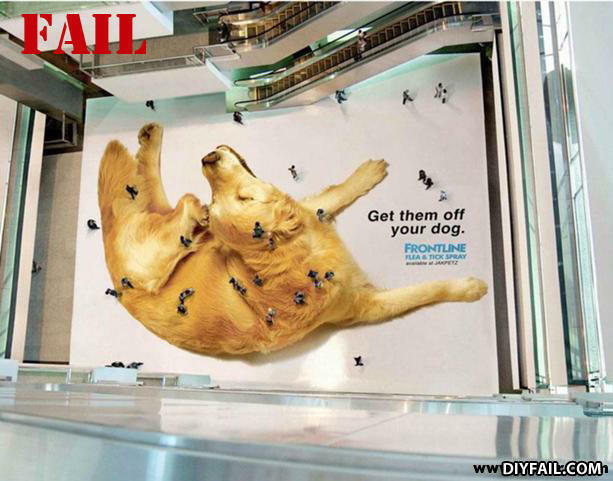 You heard the ad: get off the damn dog. NOW! Fronline gets rid of those pesky people too! Parents of the guy who thinks this is fail failed.